There are plenty of easy do-it-yourself ideas for cleaning that you can try at home. They will definitely help you to make you house more pleasant and well cleaned. We suggest you to look at our top ten. 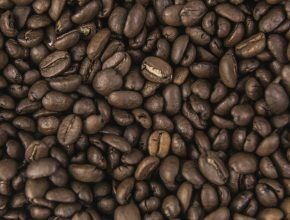 The coffee is a great eliminator of odors – for example it’s a good idea to place coffee grounds in the fridge or on the kitchen shelves. You will quickly find that it will remove the bad smells. There is an easy way to remove colored markers’ remains with hair spray. You should spray a bit of it and wipe it immediately. After this you can gently scrub it with baking soda on a cloth. We are sure that you like the smell of oranges and lemons. It is very refreshing to use some orange and lemon peels as a freshener. A good tip is to put fresh peels from exotic fruits into the garbage to eliminate unpleasant odors. The salt is your best cleaning friend – it can remove oils, rust and a lot of spots, especially on cast irons. This cheap product can give effective results for tough problems like cleaning the toilet bowl. Pour white vinegar around the bowl and scrub with a toilet brush to remove the hard stains. The lemon juice is perfect for whitening and refreshing your laundry. The lemon scent is really nice and you will attract everyone with it. We all hate ink stains on our favourite shirt! Soak the spot in rubbing alcohol for a few minutes and than wash with soap. The fingerprints on stainless-steel surfaces are really irritating. To remove them easily, put a small amount of baby oil on a napkin and wipe the affected areas. They will quickly wipe away!